The Student Services team at Nottingham Trent University (NTU) has been recognised as outstanding, due to its work to support student mental well-being. 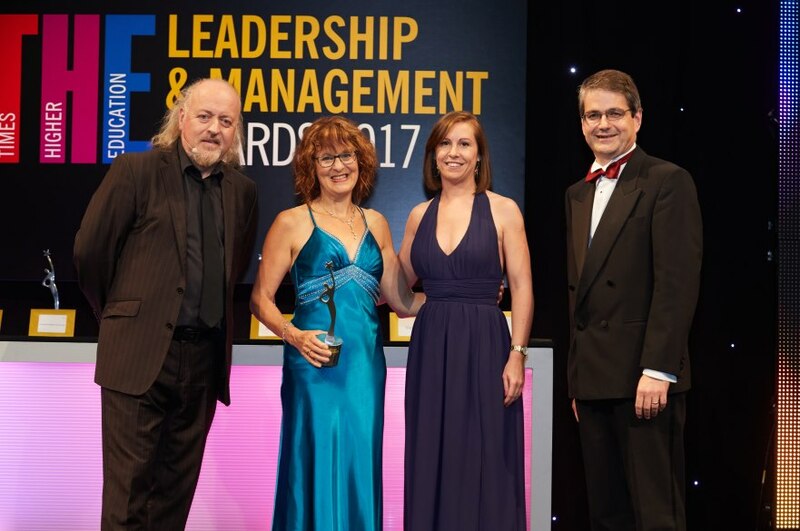 The award was presented at a glittering ceremony recognising leadership in higher education, hosted by musician and comedian Bill Bailey in London last night (THU June 22). NTU’s submission into the Outstanding Student Services Team category focused on the work the University has done to make it easier for students to access mental health support from the institution itself and from the NHS. Staff developed partnerships in collaboration with the students’ union which have allowed students to benefit from internal and external expertise on well-being. For example, a streamlined online referral route for students requiring advice and support has been developed, which offers a prompt response from NTU well-being practitioners and access to online services provided by SilverCloud, the NHS’ online space for personalised programmes to help people experiencing a wide range of mental and behavioural problems. Professor Martin McGinnity, Pro Vice Chancellor for Student Affairs: "We are delighted that the dedication and commitment of the staff of our Student Support Services at Nottingham Trent have been recognized by this award. We are constantly striving to provide excellent health and wellbeing support to our students, so that they achieve the best possible experience during their time at NTU and achieve their full potential. “Like all Universities, the demands on our support services, particularly in terms of mental health, are challenging and this award is an appropriate reflection of how we have addressed that challenge with an excellent provision." We are delighted that the dedication and commitment of the staff of our Student Support Services at Nottingham Trent have been recognized by this award.